Dr Austin O Carroll is a GP in Inner City Dublin. He has a deep interest in Health Inequalities. 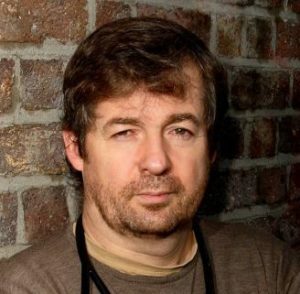 He started eight specialised primary care services for homeless people and founded Safetynet, the umbrella organisation for primary care services for health services for homeless people which is provided in 18 hostels and food halls/drop ins Dublin, Limerick and Cork. He founded a mobile outreach clinic for rough sleepers. Safetynet also provides services to the Roma community; methadone services to homeless people; and services to migrants. He also founded the North Dublin City GP Training programme, the first GP training programme internationally that specifically trains GP’s to work in areas of deprivation and with marginalised groups. As part of their fourth year all trainees work a day a week in homeless/prison/migrant/ and drug health services. He co-founded the Partnership for Health Equity between the HSE Social Inclusion, NDCGP, ICGP and University of Limerick. He co-founded GMQ GP services for homeless people. He co-founded Curam, a new social enterprise that is setting up New GP practices in areas of deprivation. He has done a Prof Doctorate in ethnographic research into homelessness. He was a founding member of D-Doc. He sails on the Irish Paralympic Sailing Team. He has received the Time & Tide Award for his work with migrants; the Fiona Bradley Award for providing primary care to marginalised groups; the Healthcare professional of the Year Award 2015; honorary membership of the RCPI 2015; and with the Doolin medal in 2018.